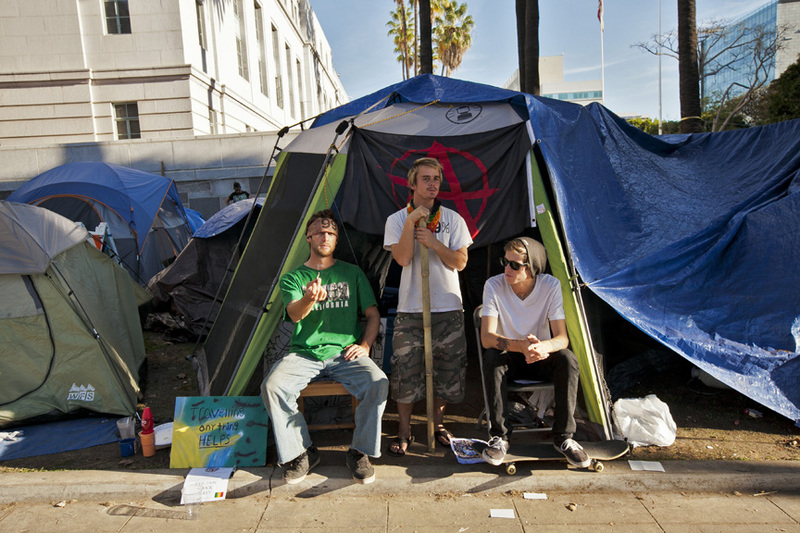 Hundreds of tents and members of Occupy L.A. are still entrenched on the lawn outside of L.A. city hall. 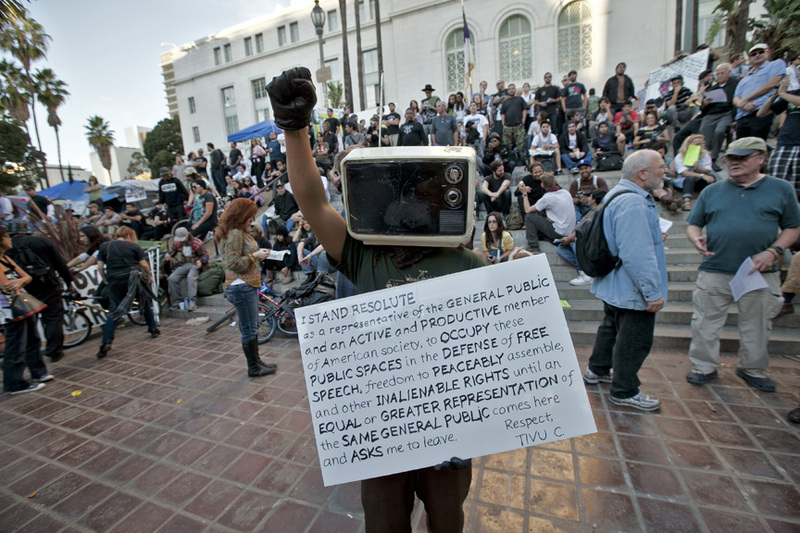 Many have vowed to be arrested, and will not leave voluntarily. 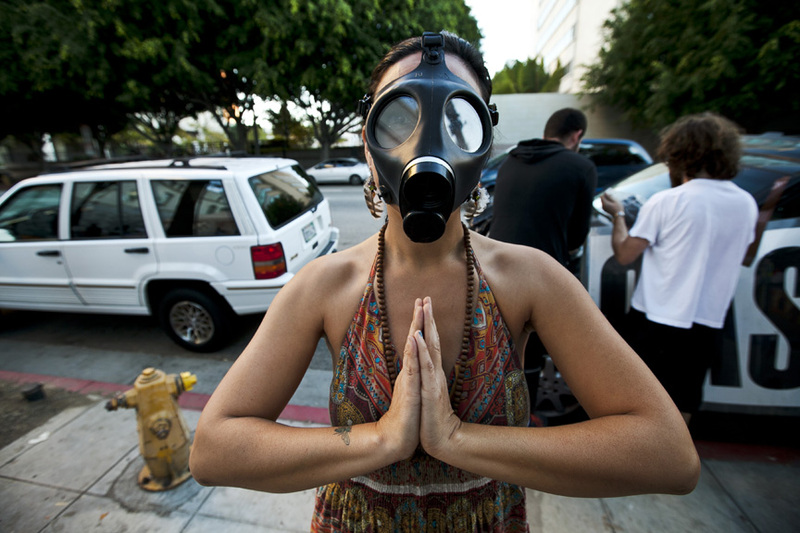 Mayor Antonio Villaraigosa has set a deadline for all occupy L.A. occupants to be gone by 12:01am Monday morning, or risk arrest for trespassing. L.A.P.D. Charlie Beck has stated that the L.A.P.D. will not rush in to the park directly at 12:01am. 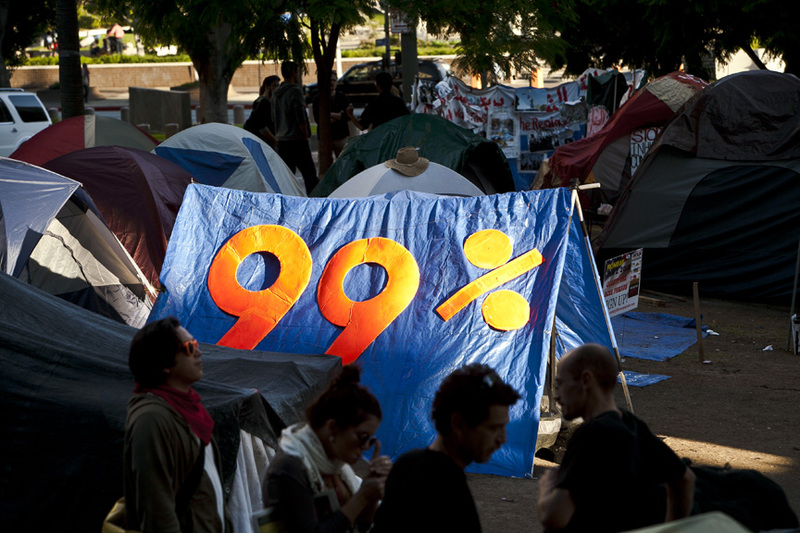 Tents on the north lawn of L.A. city hall. 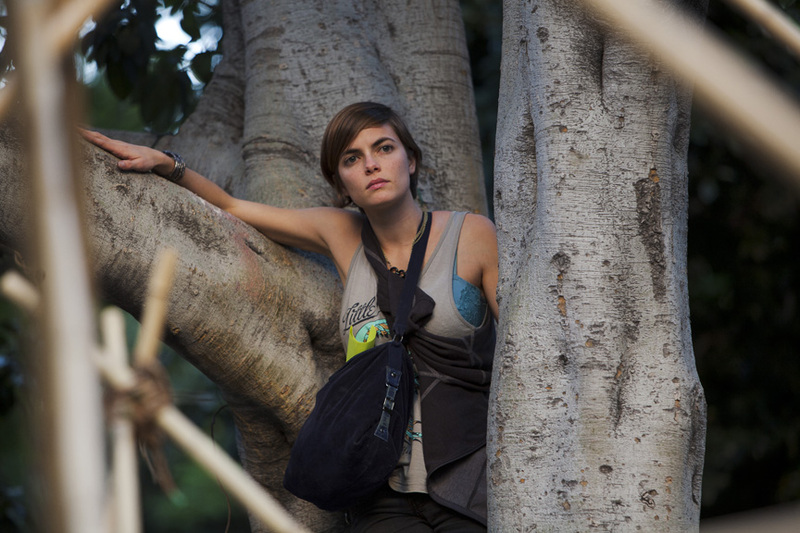 Occupy L.A. demonstrator in a tree at L.A. city hall. 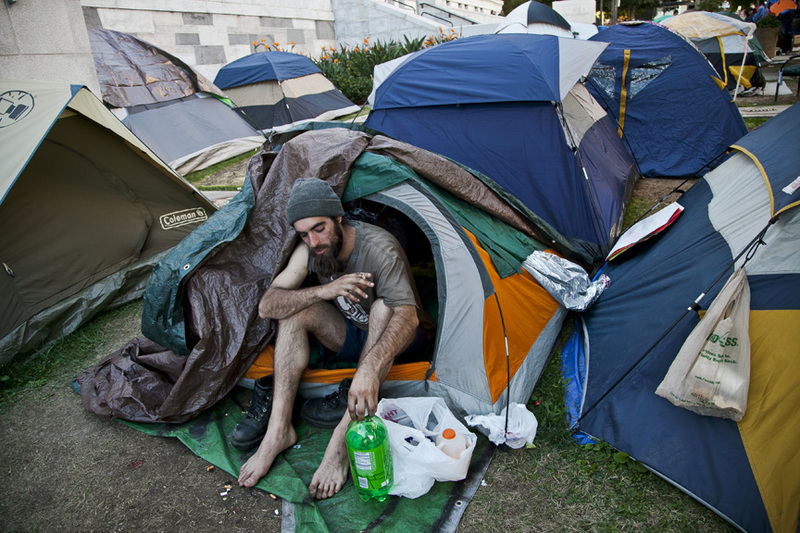 Dex, a homeless man on the north lawn of L.A. city hall.